You know those (rare) occasions when you wake up on a Saturday morning and you’re not hungover? Go on, think back. Remember all that stuff you did that you’d been putting off for weeks, and that feeling of self- satisfaction you had, which was essentially only for not being rubbish at life? There’s always a soundtrack to it, isn’t there? That band that heightens the special feeling – the one you do the washing up to. Well, next time – listen to these guys. 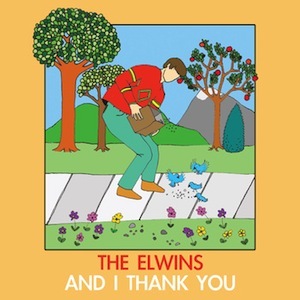 The Elwins have a beautifully understated sound – like Vampire Weekend with the voice of Yellow Ostrich’s Alex Schaaf, or like the subtle clean widdling of the Wave Pictures paired with some throwback swing. The lyrical content isn’t breathtaking, but whether talking about the “chump change” in “Stuck in the Middle,” or lamenting that “nothing’s ever going to change” in the phenomenal pop catchiness of “Forgetful Assistance,” you’ll never feel disappointed. It’s the kind of hippie pop that only the likes of Herman Dune can get away with. But mostly because they’re French and can get away with anything. The supposition we’re trying to make here is that if you’re listening to something else on a Saturday morning, then you’re doing it wrong.